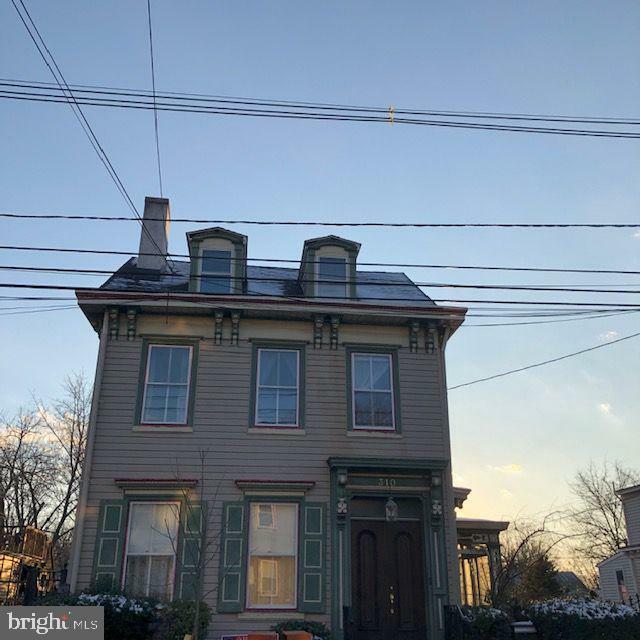 All Bordentown City homes currently listed for sale in Bordentown City as of 04/22/2019 are shown below. You can change the search criteria at any time by pressing the 'Change Search' button below. If you have any questions or you would like more information about any Bordentown City homes for sale or other Bordentown City real estate, please contact us and one of our knowledgeable Bordentown City REALTORS® would be pleased to assist you. "Are you looking to live in a Historical home? This is it!! This fixer upper offers over 3600 sq. ft. of living space and even has a City of Bordentown approved attached apartment with it's own entrance that is a sure income producer. The unique architectural features beautiful solid mahogany double entry doors, cherry banisters & spindles on 2nd & 3rd floor stair case. Second floor bathroom fireplace. This older beauty has unique charm with many possibilities. Property needs TLC and upgrading but residing in a town within walking distance of Old World Tradition.....is an exciting life style. Access to all major highways. This property is being sold as is. Seller will make no repairs nor offer any credits as a result of any inspections made by buyer. Buyer is responsible for any & all requirements that may be necessary for any certificates required by the township and or lenders."